I spent most of November and all of December finishing up custom orders. I had some setbacks but thankfully my mom was able to help and finish for me. There was no time to make things for myself so I’ve decided to be selfish and make myself a pair of mittens. 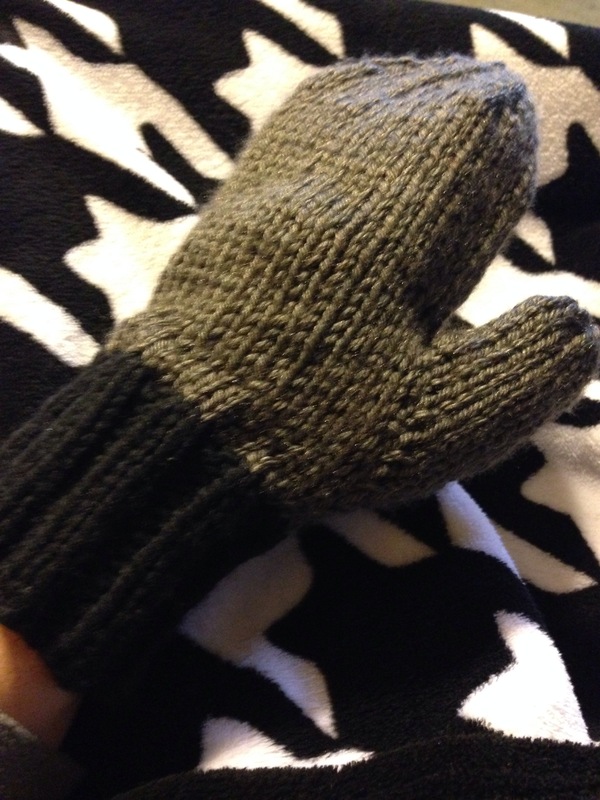 On New Years Eve I cast on a mitten and spent the end of 2014 and the beginning of 2015 knitting. Honestly is there anything better to do with my time. Now one is done and I’ve cast on the second. I’m using Bernat Softee Chunky in Black for the cuff, which I received for Christmas, and Bernat Satin in Forest Mist Heather for the hand. My goal is to finish the second today, fingers crossed. What have you started in the New Year?